← Three Free Meals At IHOP! 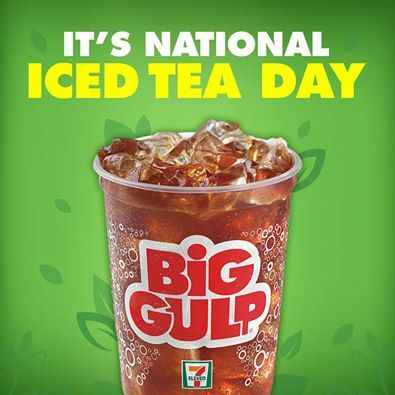 What better way to celebrate my favorite drink, unsweetened iced tea, than with a FREE Big Gulp Iced Tea from 7-11! All you have to do is text the word APP to 711711, and you will get a link to download the 7-11 app on your phone. Bring your phone in to 7-11, show them the coupon you get when you download the app, and there you have it. Oh thank heaven. And, by the way, once you download that app, make sure you check it every time you go in to a 7-11 – there are coupons to all kinds of free things offered!